The Ohio River flooded in biblical proportions. Two-thirds of the city of Louisville, Kentucky was under water. But the citizens of Louisville overcame extraordinary tragedy in this, the city’s worst natural disaster. 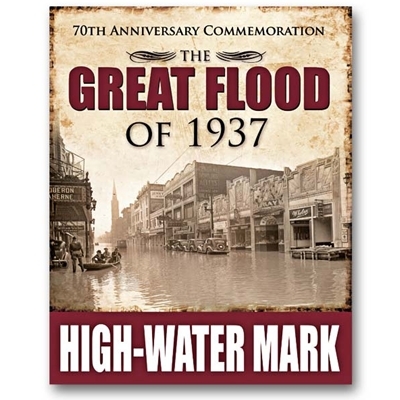 Commemorate the 70th Anniversary of The Great Flood of 1937 by showing your 1937 High-Water Mark with this beautiful 24" x 30" metal Sign. Poster-grade graphics on durable metal base.